Activities are tailored to each child according to their age, skill level and specific conditions. Babies at our facility benefit from the human contact of our nurturing volunteers who provide rocking, warmth and comfort and often read stories or sing to them. To maximize safety and ensure that each child receives the individual care they require, Wonder Kids Medical Daycare has a nurse to child ratio of 1 to 3. We employ a staff of experienced RNs, LPNs and CNAs, who provide top-notch nursing care. Each child at our facility has an individualized care plan developed in cooperation with the child's primary care physician and parents. Care plans are updated on a monthly basis to ensure every child receives the care they need. 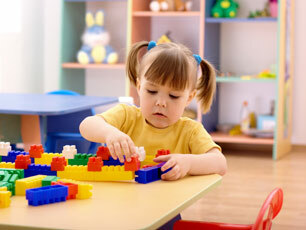 Wonder Kids Medical Daycare is made up of a core group of dedicated and professional personnel that rarely changes. We form relationships with the children at our facility, promoting an environment of security and trust. Want to find out more? Take the next step by contacting Wonder Kids Medical Daycare to tour our facility and discuss your child's medical needs.